Step 1 Place lentils in pot and cover with water to reach 2cm above lentils. Step 2 Bring to boil lower heat and simmer until lentils are tender, about 30-40 minutes. Step 3 Drain lentils, set aside. Step 5 Sauté the onions, basil and garlic oil, over a low heat 10-15 minutes until soft. Step 6 Combine all ingredients or a food processor (I used a mixing bowl and hands). Step 7 Check for taste, adjusting if necessary. Serve with some fresh rye or sourdough bread! 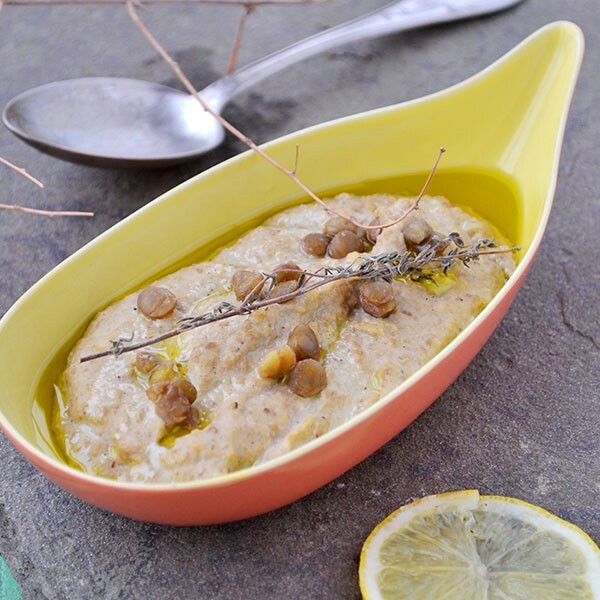 An amazing vegan, dairy-free Pate using brown lentils and walnuts! A great part of the nibbles plate!